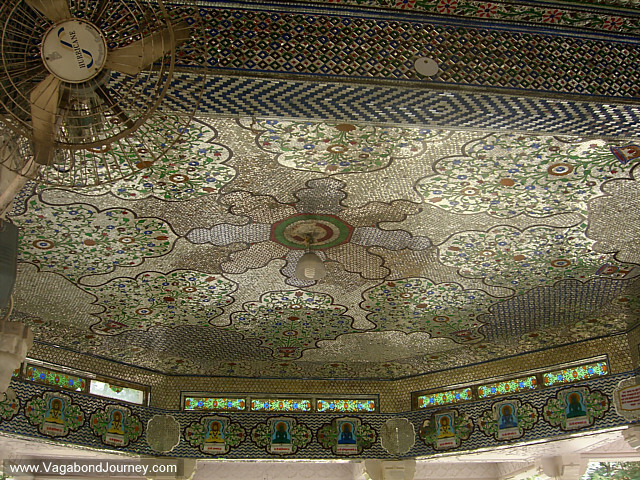 Ornate jeweled ceiling of Jain temple in India. 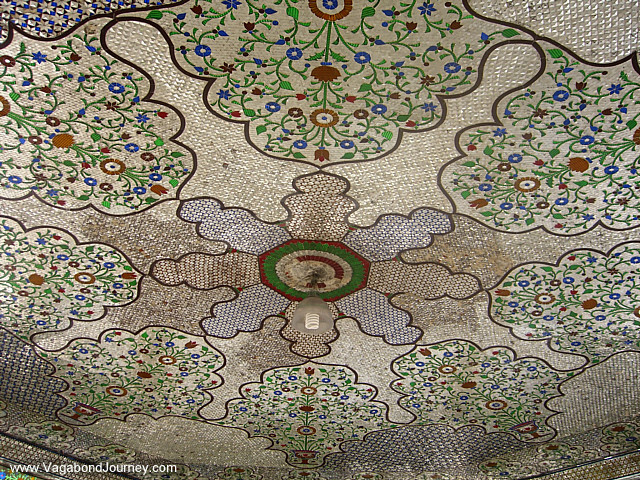 Detail of the floral design of the ceiling of Jain temple. 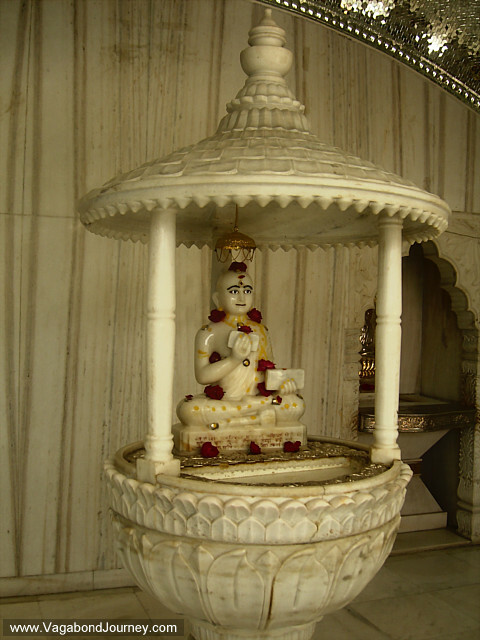 White sculpture inside Jain temple, outside Delhi. 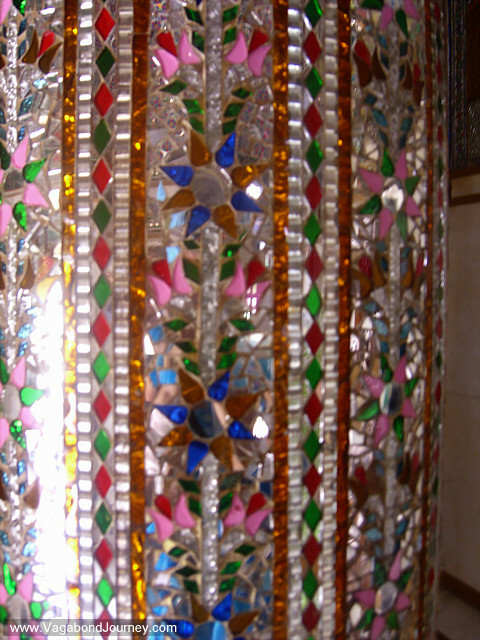 Detail inside Jain temple in India. 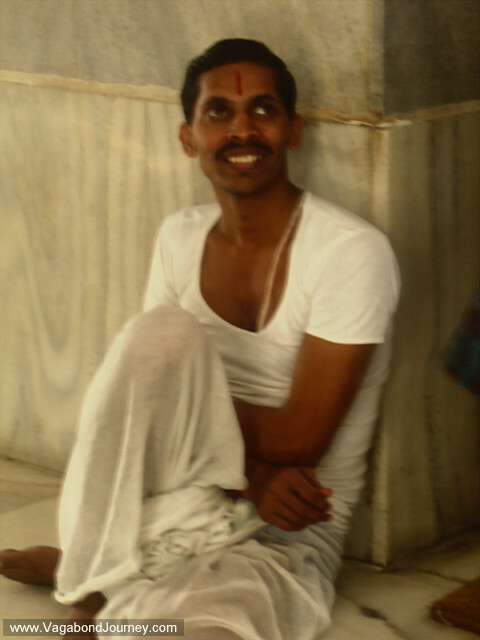 Caretaker of Jain temple in India. 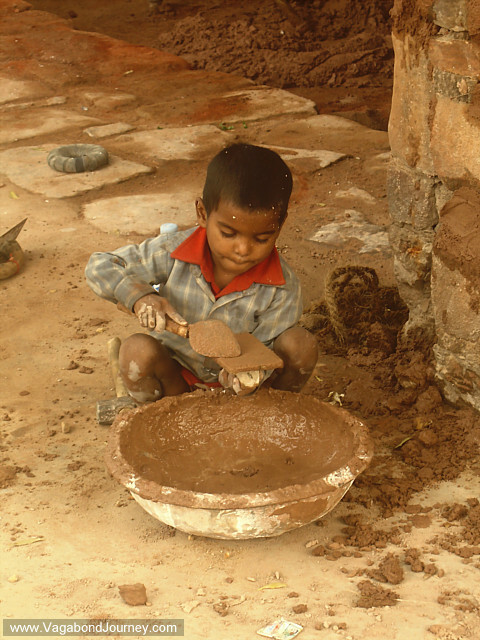 Child of Indian workers plays in cement in India. 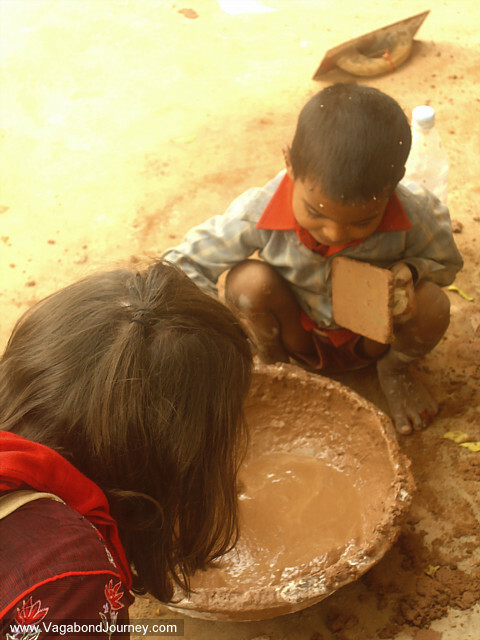 Chaya tries to play with Indian boy. 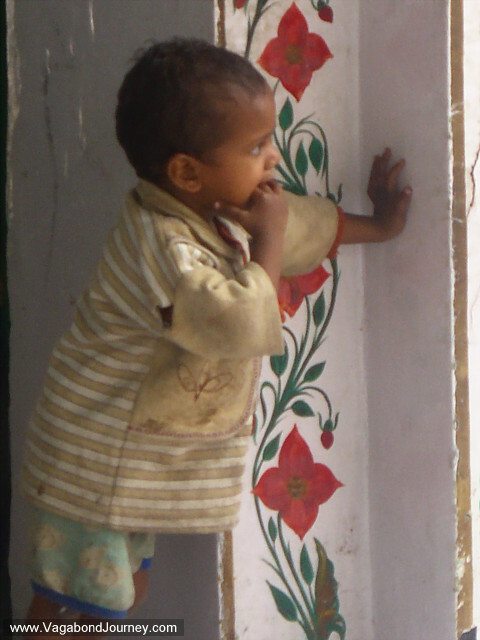 Indian child looks out of floral decorated door. 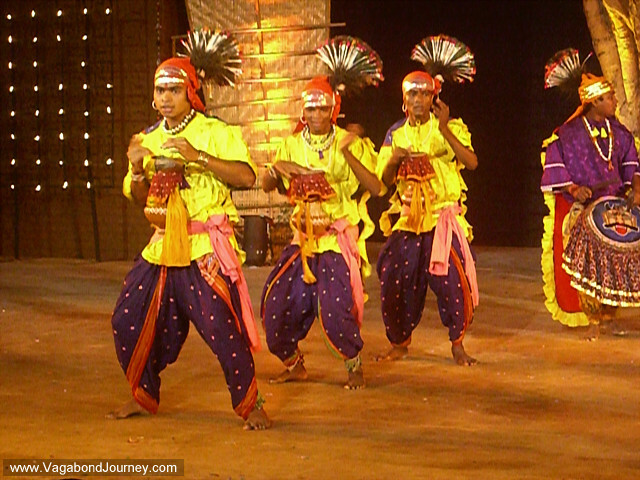 Indian drummers during an ethnic dance festival in Delhi. 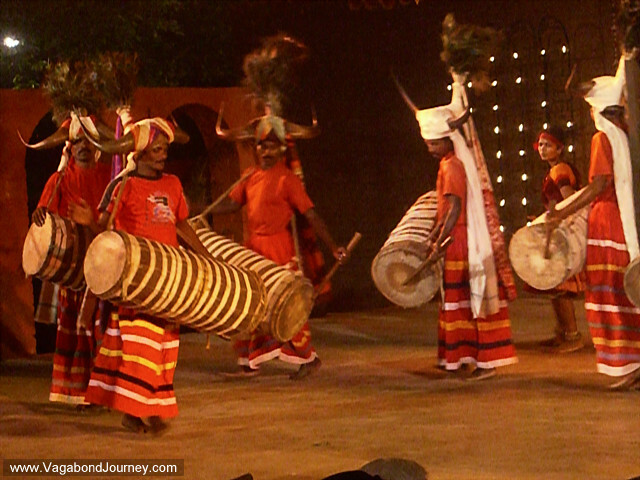 Indian drummers wearing horns during dance festival.